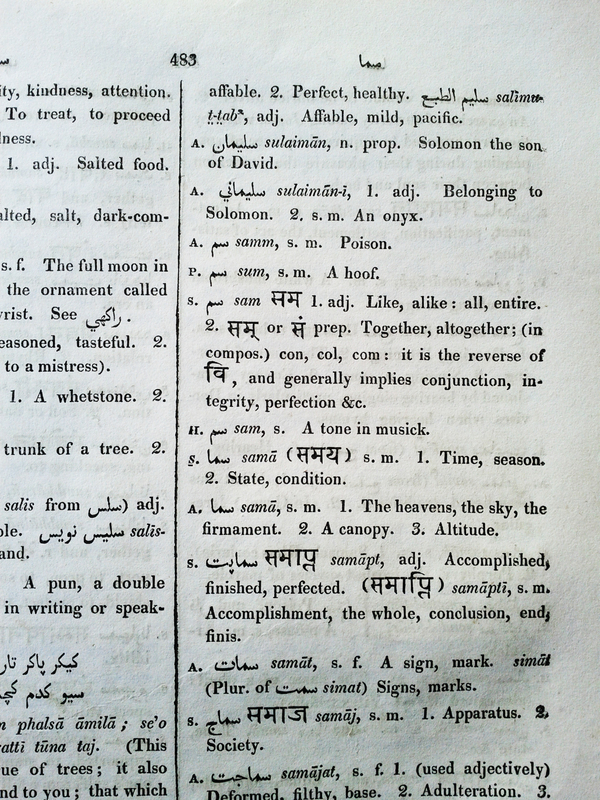 John Shakespear’s Dictionary, Hindustani and English – Its a Nerd’s Life! 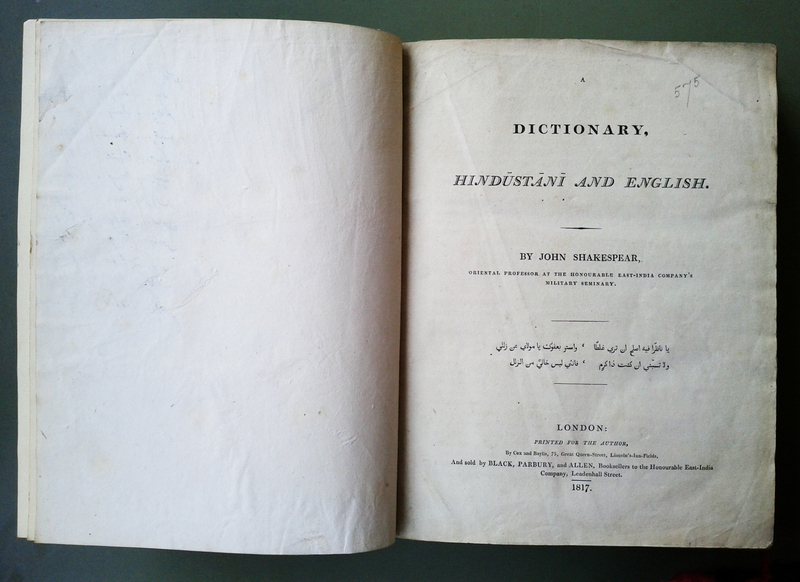 Pingback: Duncan Forbes’ A Smaller Hindustani and English Dictionary « Its a Nerd's Life! 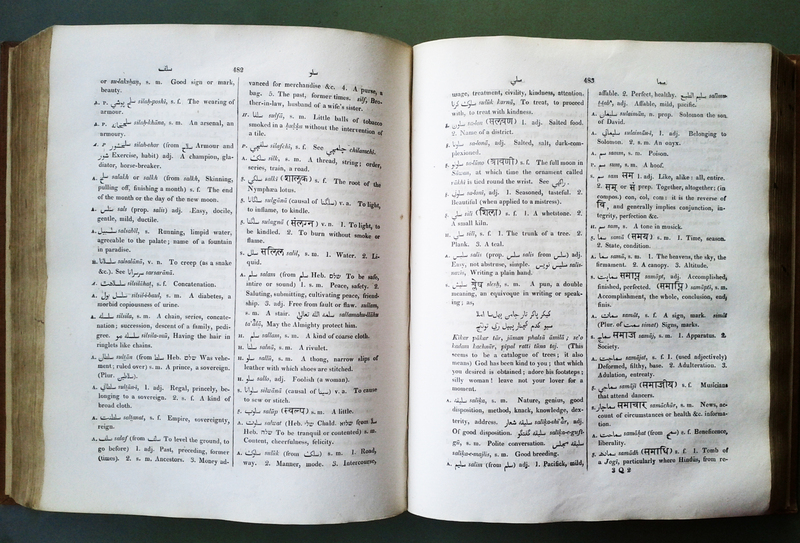 I have just come across Shakespear’s dictionary for the first time, as a source used by Edward B. Eastwick for his translation from the Urdu of ‘Bagh o Bahar’ which I’m now reading. His critical remarks about Duncan Forbes has led me to be a little wary of my 1866 copy of his copious Hindustani Dictionary but it’s all great fun. By the way Eastwick also mentions the source, ‘Kanun- Islam’ but I can find nothing about it – can anyone help please?